Mayim Bialik explains why we should stop calling grown women "girls"
Even in 2017, Blossom knows best. 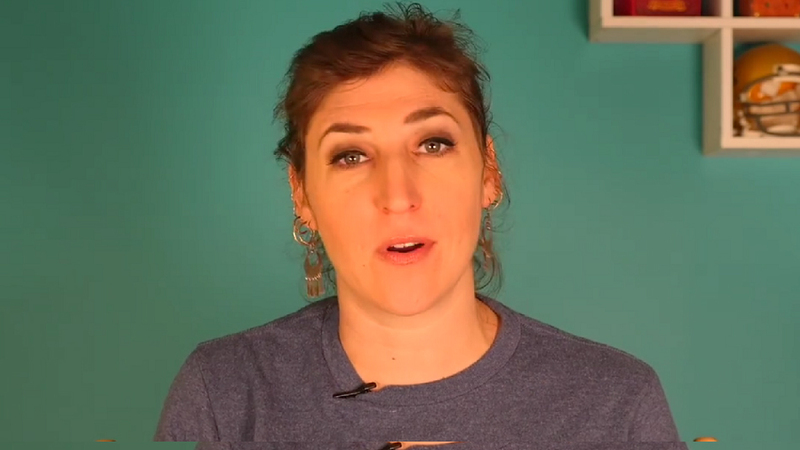 In a really thought-provoking video, Mayim Bialik spoke out about calling women “girls,” and it’ll truly make you think. While it’s a mistake many of us make, it’s something that’s definitely worth changing. Why? Well, because “girls” often has a negative connotation to it. Bialik, who’s been quite visible on The Big Bang Theory throughout the past few years, got real with her audience in the video, which she shared on Facebook. Already, it’s racked up over a million views. In it, Bialik shares a personal story about why language is so important, and how we need to change things around to help ensure a better future. I get super annoyed when people call women "girls." You don't call a grown man a "boy," do you? Yes, I overthink everything. Here are my thoughts on why and how to change how we talk about women. "I get super annoyed when people call women 'girls,'" Bialik said in the caption. "You don't call a grown man a "boy," do you? Yes, I overthink everything." We don’t think she’s overthinking it. In fact, we’re proud that she’s speaking up about it. Bialik points out that while most have good intentions when using the word, they should realize that it comes from a negative place. "The terms we're using for women are outdated and insensitive. And they assume a structure of power where men are on the top, and women are on the bottom," Bialik said. "It's up to us to change this narrative." In Bialik’s eyes, a “woman” is anyone who has a high school diploma, a job, a car she pays insurance on, and/or a mortgage. If someone is a mom, there’s a good chance she’s also a woman. “Girls” should a word saved for anyone under 18. If they still live with their parents, it’s a big indicator. Bialik thinks that by kindly correcting people, as she often does, things may start to turn for the better. One thing’s for sure — she’s absolutely right in saying that vocabulary is a powerful thing. And it might be good to try and change things around now, when women truly need all of the respect and basic rights that we deserve.